The trailer of Ayushmann Khurrana, Sanya Malhotra, Gajraj Rao and Neena Gupta starrer Badhaai Ho is out and it will leave you in splits. 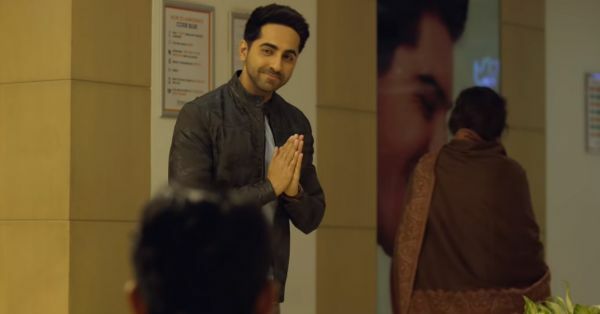 The trailer shows an ordinary family that becomes the talk of the town as soon as the news of Ayushmann's mother, played by Neena Gupta, getting pregnant at an older age comes out! His world comes crashing down the minute his father breaks the news to him. He is embarrassed and doesn't want to acknowledge a sibling at this age. The film looks like a slice of life comedy with a fresh chemistry of Ayushmann and Sanya as they play love interests. It also looks like the makers want to target and convey a message on a specific issue of judgment in Indian society on a hilarious note. With Ayushmann at his humorous best, yet again, the film looks a comedy rollercoaster ride. There are some punches in the trailer that will crack you up. 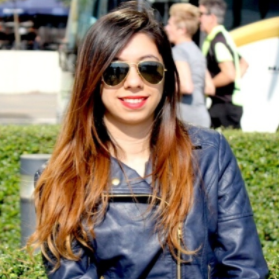 Sanya belongs to a family that is better off than that of Ayushmann's but doesn't have a father. Her mother, in the trailer, tells her that Ayushmann is a great guy but his family is a circus that she doesn't want to buy tickets to! With a soundtrack that is in sync with the comic flavour of the film, it promises to be a tadka of drama and fun. Watch the trailer to enjoy the ride! Be ready to meet Ayushmann Khurana's awesome blossom family on the big screen on 19th October.